You can find paid parking at:MOTOR MART GARAGE201 Stuart StreetBoston, MA 02116Customers can get their parking tickets validated at the restaurant to park at the facility at $10/3hrs. Shaking Crab's vision for messy eating began with the core belief that food can be more than sustenance, but an experience to be shared with those around us. Bibs up, phones down, we need YOUR help to continue spreading the communal experience of shaking. Food was fabulous! Very minimal service needed and no wait time! Delicious! The food, that actually came out considering a few things ordered never made it to our table, was the only saving grace. First and foremost, we were placed at the first table near the entrance where you could feel the winds every time the door was opened. Secondly, a few items that we ordered weren’t even brought to the table. There were three of us, two of us received our meals and the other did not. When he did receive his meal, he realized items were missing within it. We relayed the missing food entree and appetizer items to the waitress to which she replied with an attitude asking “what we’d like her to do then?” After that attitude, she didn’t come back to our table anymore and had someone else deal with us. Very unprofessional the way she handled the situation. As I stated, the food was good but I won’t be coming back to this location. This is a newer location, the location is great, the food is fantastic as always. My issues were with the staff being attentive but inexperienced. In time this may get better. Huge issue with the bill and the tip. Not sure everyone understands the billing model utilized at this location. We almost felt tricked but a question cleared up the issue. I wish them luck! The tables are too close. I could hear the other tables entire conversation and we had to keep moving our chair so they could get in and out. I loved the food and the place was cute. The only things is that the restaurant is small so it’s hardly any space. At the same time, I would definitely return. Love the food at shaking crab however I wouldn’t recommend this location :( it wasn’t the best experience and the amount of food I received wasn’t as much as I usually get from other locations. The other locations fill my bag with lots of sauce!!! This location was very skimpy. I’ve been to this location twice and I’ve experience poor service both times. Staff not organized. Host will have you wait for 20 min without even coming to check on you or apologize for the wait. We made a reservation and still had to wait 30 min to be seated because the staff didn’t want to open another table upstairs even though downstairs was packed and they already had people upstairs. I only come to this location because it’s closer, moving forward I will be going to the one in Quincy even though it’s far. I rather drive far than deal with this poor service. My experience was so bad that I’m writing my first ever review. This place was super fun, the seating is a little tight but would recommend to a friend. Great place to eat while visiting. Alaskan king crab legs were excellent. Tast was booming and the service was fantastic. 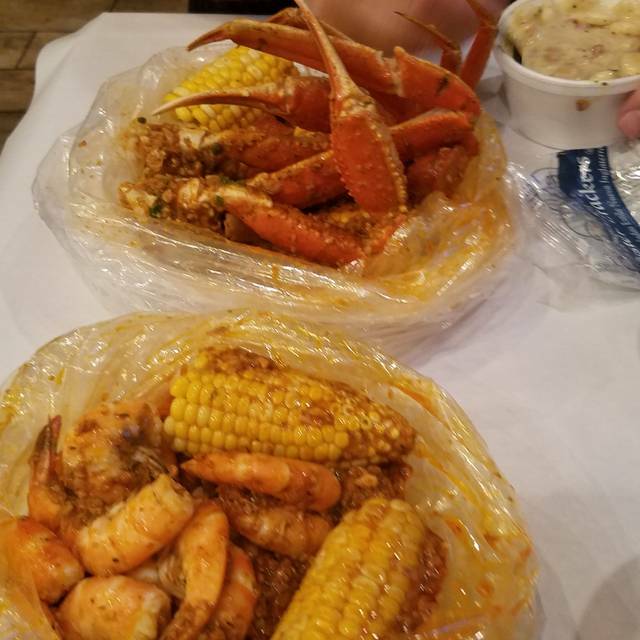 I really enjoyed my choice of food I ordered the crab legs ang shrimp with a double side of corn the sauce was amazing and the appetizers was a good size as well I ordered the macaroni and chicken tenders delish. I would recommend this place and definitely go again. Great first experience . 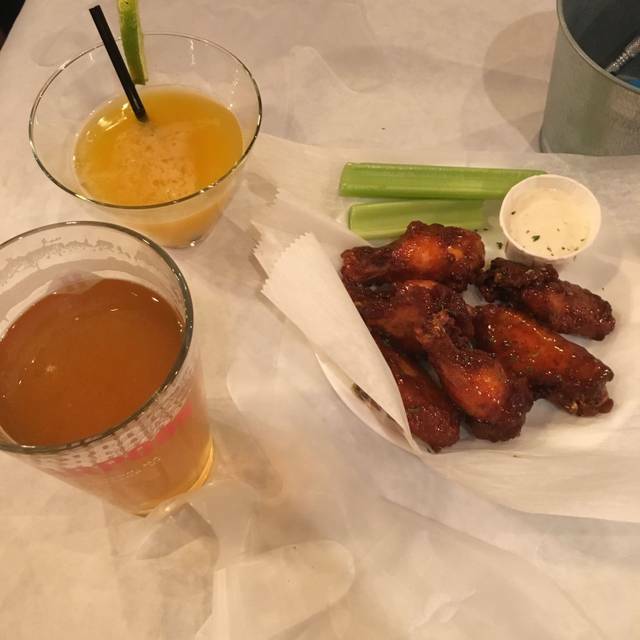 My friend and I had no clue what we were doing and the waitress showed us exactly how to do it all and to get every bit of food . Was a great time , and the Cajun was a great flavor ! The primary offering is steamed seafood with seasoning “shaked” over it. Their signature seasoning is “Cajun”. Having grown up in Louisiana (where Cajun is), I found the seafood unimpressive. Cajun seafood is boiled in heavily seasoned water. 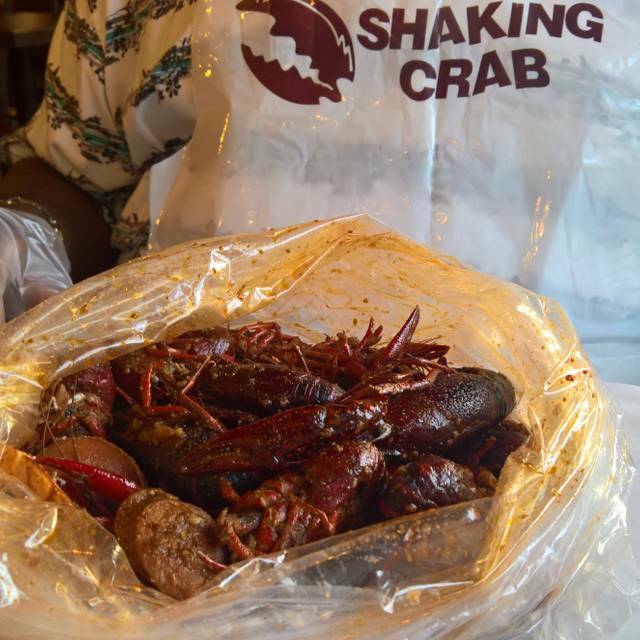 In authentic Cajun seafood boils, Cajun seasoning permeates the seafood, which is not what we experienced at shaking crab. Instead, what you get is bland seafood swimming in seasoning. Trust me, it’s not the same. Go to Louisiana and get the real thing. Service was good. Shaking crab is always great! The food has so much flavor and is a good price. Was sad to see the fried pickles were not on the menu at this location. A super fun find! close to the theater district. Tasty food. Messy and delightful. I love Shaking Crab! I’ve been to the other locations that are great. However, this one in the Commons is terrible. Terrible service! My drink came way after my food and I had to ask serval people for things because so many people took my order I really didn’t know who my server was. No matter how much people I asked, whatever I asked for was forgotten. It got to the point where I asked the hostess. I’ll stick to the other locations even if they’re further away. Terrible. Food was terrible. Mac and cheese came out cold and tasteless. Service was horrible. I wish I could’ve received a refund. Never going again. Love love the noodles.💓 It place for nice cozy meal. Each visit has extremely pleasant. Fun place, food pretty good. We had the medium spicing which was still pretty hot. Glad I didn't go higher. 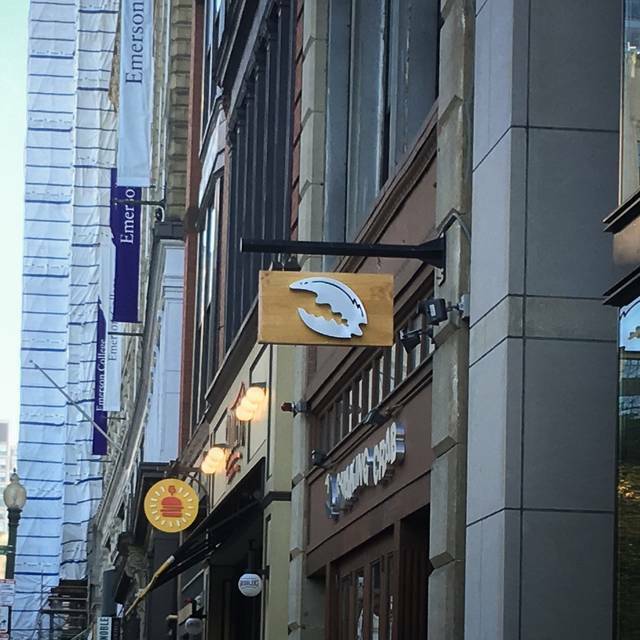 Shaking Crab is the best place to go to if you are looking for amazing seafood in the Boston area. The Alaskan King Crab legs in Seoul sauce is my recommendation, especially if you love crab. First time eating at Shaking Carb. The food was good. Happy to see an easily accessible location in the city. Great food. Funny staff. We had a great time, and plan to return if we ever visit Boston again! Overpriced. They over cooked my shrimps it was so hard. They removed it from my bill. Food was amazing! Service was iffy, as we did not get our drinks until after our meals came out. Other than that it was great!